These good little kittens have found their mittens! Quick to knit. 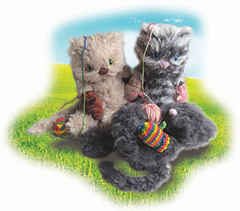 They use Caribou Yarn by Hikoo which is so soft and cuddly you won’t be able to keep your hands off of them! IN MY NEW ETSY STORE.